Lars said: "This bookshop has a large section of English books." The bookstore has moved into new premises recently and can surely boast about its new stunning interior design, spreading on over 900 square meters. The interior itself is a delight for its visitors, with the ceiling covered in "glo-balls", special Japanese ceiling lamps. 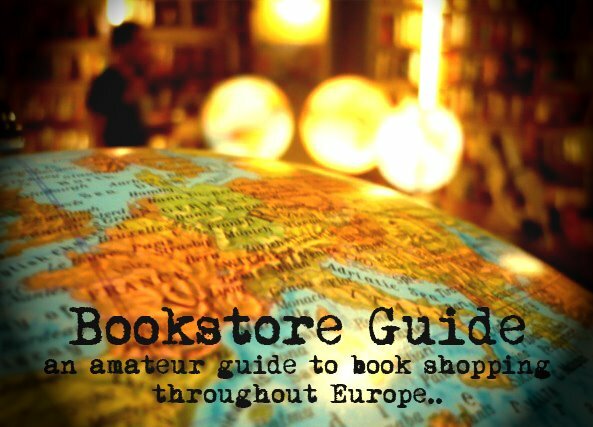 Besides the vast collection of Swedish books, they stock books in English, French and Spanish in various categories, some of which are: architecture, biographies, design books, books on arts, history and travel (from guides to various maps). 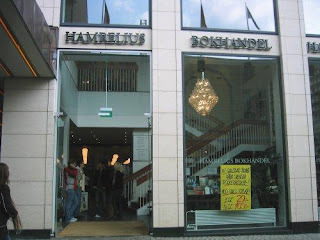 Hamrelius prides in being a top of its kind and leading international bookstore in the whole of Sweden. They also have a bookbinding section within the bookstore. Located in one of the busiest main shopping streets of Malmö, in the pedestrian zone, this international bookstore mostly sells books in Swedish but also has a large section of books in English. Apart from general literature, they also have books on art, photography, design, architecture and traveling - all of these being somewhat a specialty of Hamrelius. The fiction section is well stocked and be on a lookout for regular paperback sales. Hamrelius Bokhandel is Malmö's local favorite for English literature. I currently live in Sweden and can recommend Hamrelius. It's a great place to spend the day. Don't forget the Malmo city library though. It overlooks a beautiful park and is a stunning blend of old and new architecture with an excellent selection of English novels and magazines and newspapers, a wonderful resource.